As Real Estate agents, we love celebrating moving day with you. After 75+ years in the business we’ve been there for a lot of moving days, and we’ve heard a lot of moving stories. Boxes pile up. Things get lost. Expenses pile up. Moving comes with a lot of stresses, we know. So, while making your moving checklist, don’t forget about one of the most important factors in moving — your kids! Moving can be just as hard on your kids. 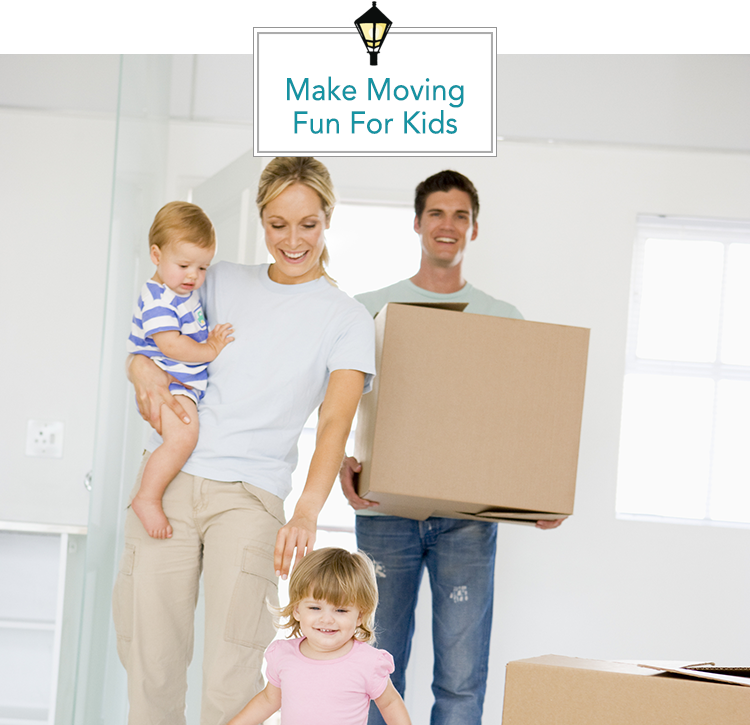 So, let’s take a look at a few ways you can make moving with kids fun! Did you move as a kid? Do you remember your parents breaking the news to you? That can be a tough moment for a child. Kids like routines — school, friends, church, etc. But, change can be fun, too! So, make a big deal out of it, and make it fun. Recently, friends of ours moved to Guatemala and to tell her students about the move, our friend did an exploding volcano experiment with them. This makes the news fun and exciting. As New Orleanians, we like parties. We throw parties for almost EVERYTHING, so why should moving be any different? Like the volcano idea, make it a theme party that pertains to your move. Invite all your children’s friends and make sure they know that they can still stay in touch no matter how far away you move. Ok, so purging isn’t the most “fun” thing on our list. But, let’s be honest, kids tend to have A LOT of stuff. Make a game out of it, and give points for your kids donating clothes they don’t wear and toys they don’t play with. The winner gets ice cream (ok, everyone deserves a little ice cream after packing/moving). 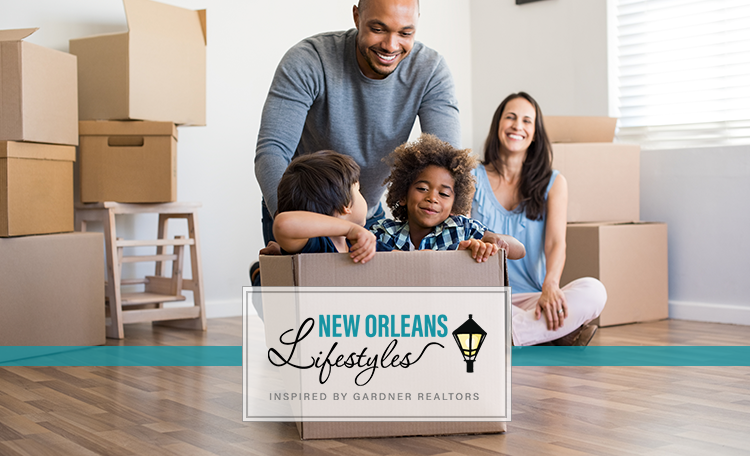 *For additional tips for moving with kids and pets, click here! This idea is two-fold. One idea is to get your kids involved in the actual moving process. Giving them ownership of the actual move will go along way in ensuring everyone is happy! So, let your kids decorate the boxes. Let them take photos of their room and make a scrapbook of memories. The more you can include your kids in each step of the process, the more fun everyone will have! As we said before, kids like routines. From what they eat at the school cafeteria to who they talk to at Taekwondo, normal is good. So, to the best of your ability, make sure these routines stay intact. Decorate their room in the exact same way as their old one. Wake up at the same time you always do. Order from Papa John’s on Pizza Tuesdays. Whatever routines your child and your family have, keep doing them after the move. This will make your new house feel like home and keep your kid happy!